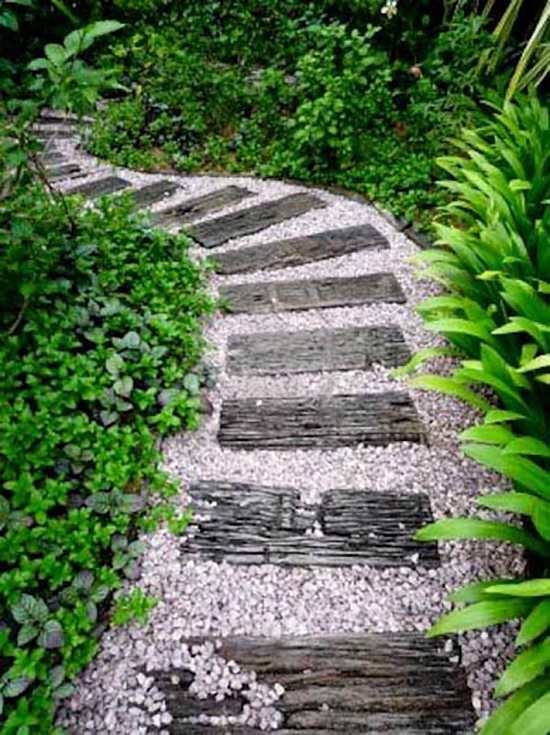 Walkways and paths give a new dimension to a garden. A garden without them looks less professional and well designed, plus they make easier to roam about for weeding, harvesting and regular maintenance for gardener. 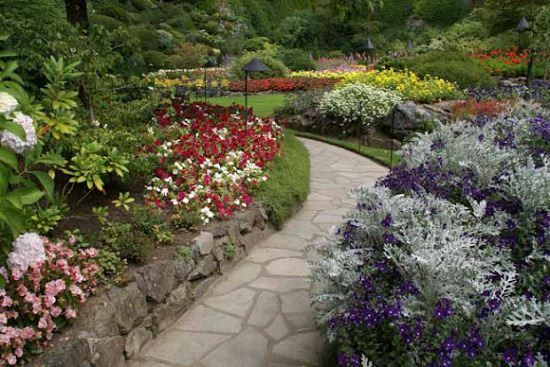 If you are about to create a garden path or renovate it, take inspiration from here. 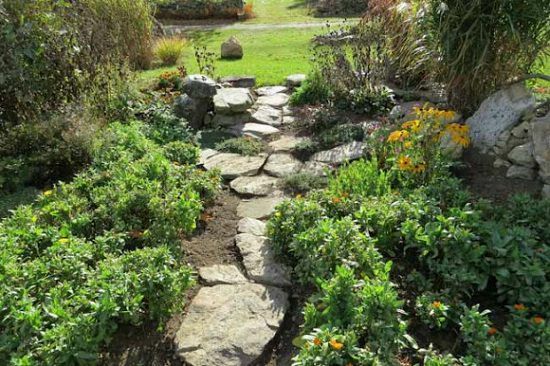 Lay a garden path that will add a beauty in your backyard and patio. 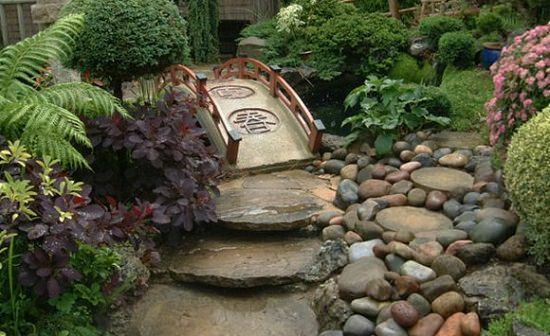 Look at this Japanese Garden path– rocks, colorful stones and small bridge, everything is complimenting each other and giving the place a serene ambiance. Here’s one more idea for you. Big rounded stones pitched in the walkway, this is giving it a different look. 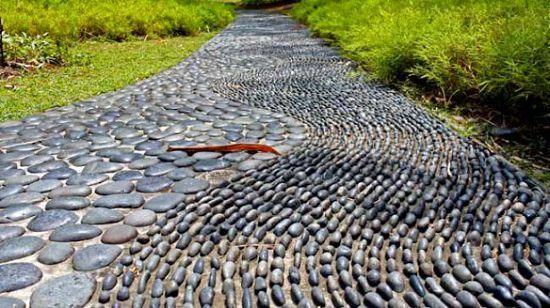 Design of this staggered path is creative. Symmetrical slabs making seahorse like shape, green patch around it. 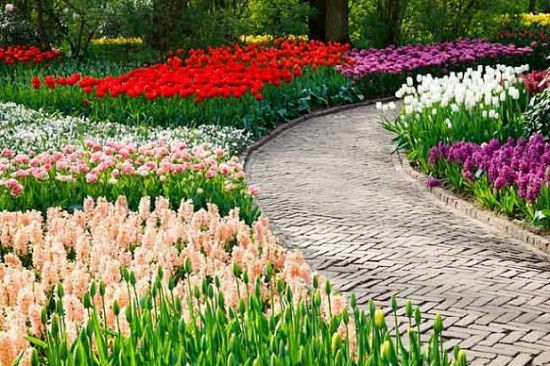 This is lovely, colorful flowers are flanking the path, a classic pathway design to follow. 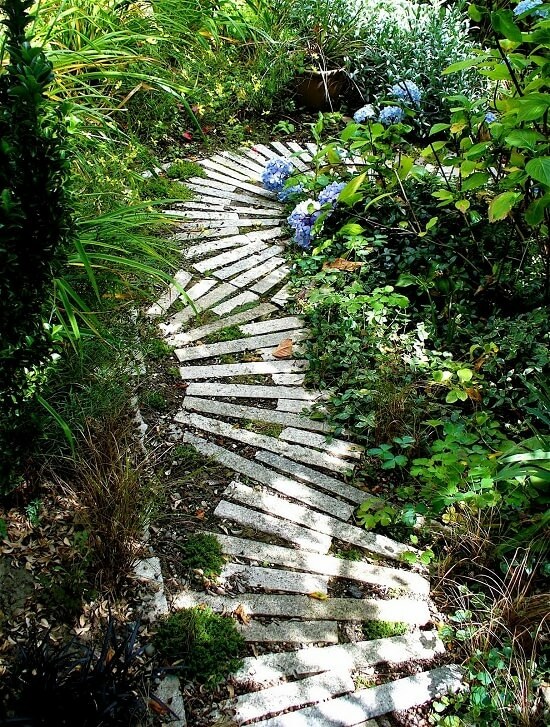 Exposed wooden plank to step on, white color road metal with mixture of greenery, try this terrific garden pathway idea to create a mesmerizing garden. 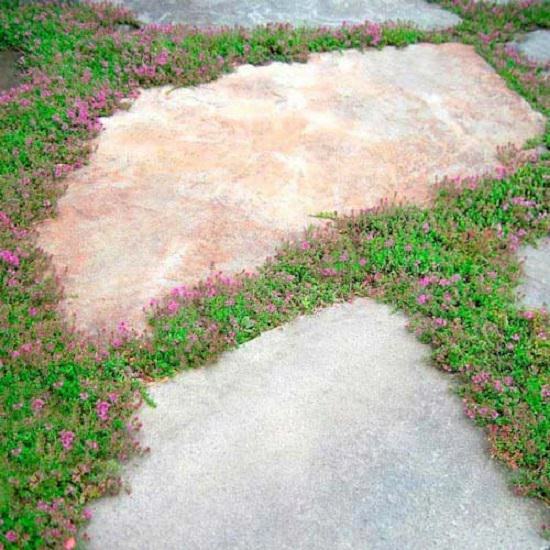 Stones paved on the walkway and on the side with the combination of flowers blooming, giving it a cool look. Growing Herbs in crevice is a smart idea, walk on it and fresh aroma will lick your feet. Here, thyme growing in the cracks. You can also try mint. Wow! 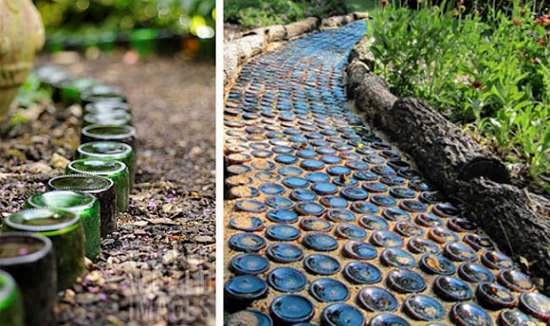 Bottled path, interesting DIY idea. Implant the bottles in the way and it’s ready. 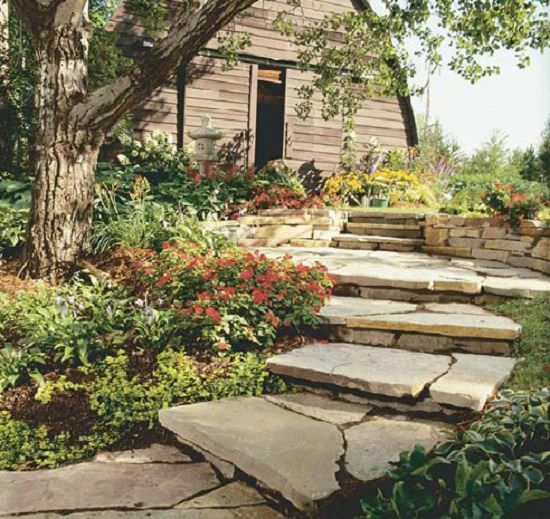 Natural stones used in this walkway giving it a rustic look. Make sure your garden path is wide enough to move mowers. 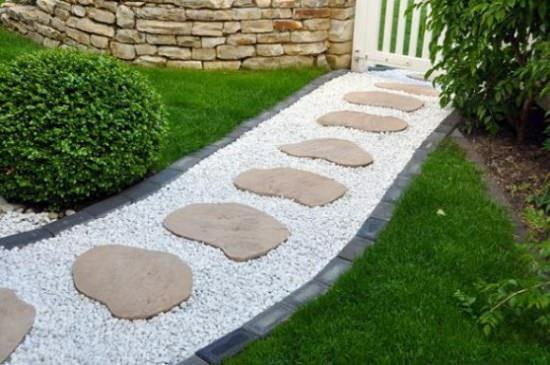 Very easy to imply this, in the picture someone planted these stones in the soil and the path is ready to walk on, an inexpensive idea. 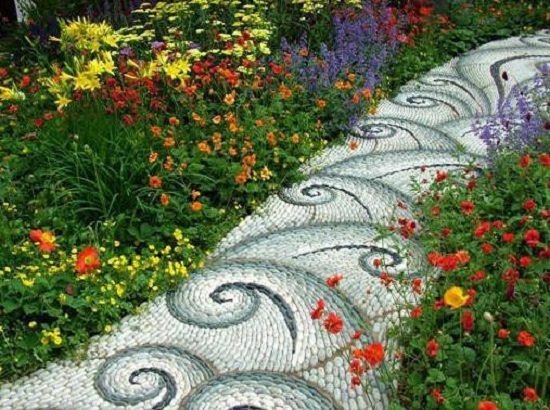 If you haven’t still find your garden path inspiration then this idea might interest you, mosaic garden path in wave style. 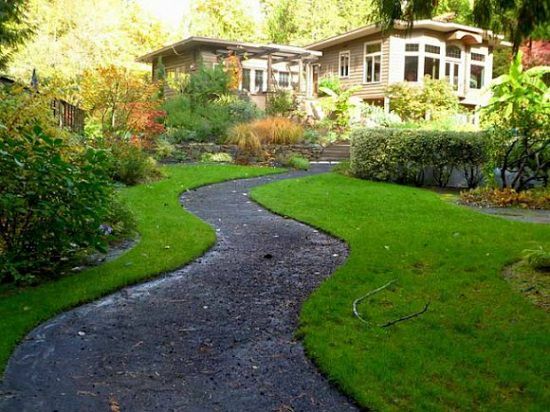 A simple walkway, grass mowed perfectly in zig-zag style across it, giving it a sharp look. 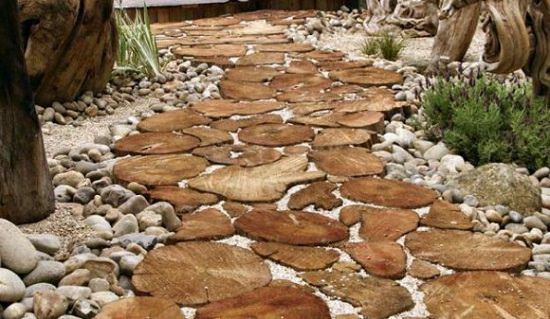 Sliced wood implanted on the ground to step on with stone filling giving this path a stunning look. 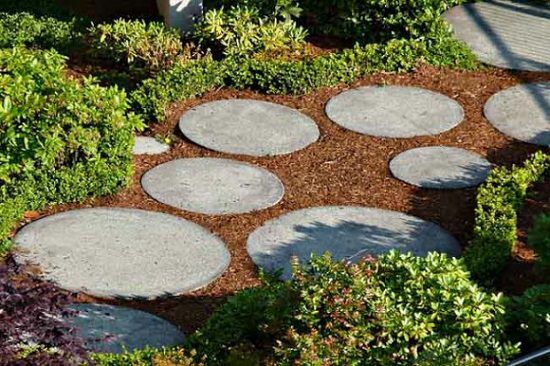 Follow this path idea to give your garden an engaging look.